"When businesswoman Virginia Kelly, a black lesbian, meets her old college chum Bev Johnson for drinks late one night, Bev confides that her lover, Kelsey, is seeing another woman. Ginny had picked up that gossip months ago, but she is shocked when the next morning's papers report that Kelsey was found murdered behind the very bar where Ginny and Bev had met. Worried that her friend could be implicated, Ginny decides to track down Kelsey's killer and also contacts a lawyer, Susan Coogan. Susan takes an immediate, intense liking to Ginny, complicating Ginny's relationship with her live-in lover. Meanwhile Ginny's inquiries heat up when she learns the Feds suspected Kelsey of embezzling from her employer. Woven into the narrative are observations on lesbian life and on prejudice, which are undercut when the author resorts to stereotyping: Ginny's boss, for example, is a drunken Irishman. Still, an entertaining assortment of female characters makes Baker's debut promising, even though the plot's logic does not stand up to close scrutiny: the police do not suspect Bev of the murder, making Ginny's sleuthing to save her friend appear superfluous." 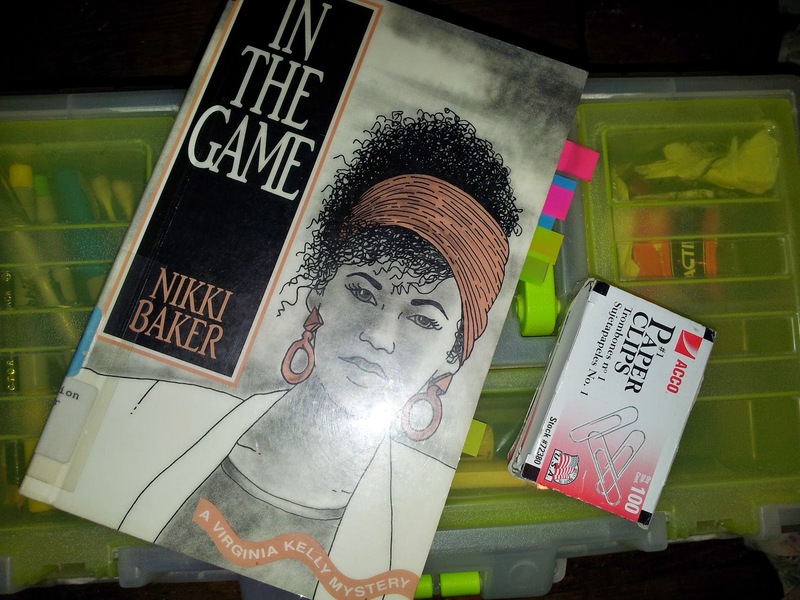 I am still in the “what the hell did I just read” post-reading phase as it concerns Nikki Baker’s In the Game. First, I won't strike the book down as terrible, but I can't say that it was all that great either. But a disappointment? Certainly. I don't know what the hell happened, though. Or better yet, I can pinpoint a few of the many complications I had with this book. Some are structural base. Some character base. 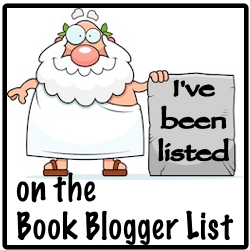 And some… well… I guess plot/mystery based. However, first let’s get the obvious out of the way. 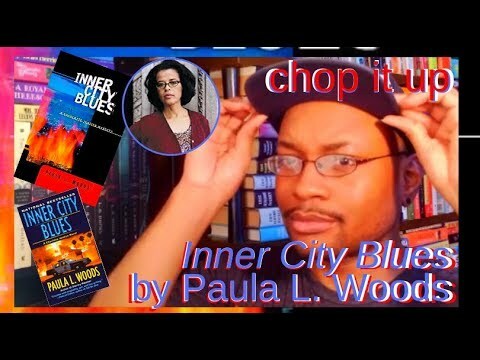 In the Game is first in Nikki Baker’s Virginia Kelly mystery series, and it’s unique (super emphasis on that) as a mystery series because its protagonist/sleuth is African-American and lesbian. She works in some kind of insurance/financial institution (I was never 100% sure of her occupation) named Whytebread (girl, come on–“Whytebread“). At the beginning of the book, Virginia’s old business school friend, Beverly, calls her up late one night to meet at a bar down in Chicago. Beverly has something important that she wants to ask Virginia. And guess what? You don't exactly know what Beverly wants until page 41, and even then you may just miss the stakes of it. So what took place between pages 1-41? I'll tell you. The opening's direction is pretty much clear: Wednesday night at a gay bar where Virginia Kelly waits on Beverly while serving readers exposition concerning her family’s rug-sweeping of her sexuality and being black and lesbian in Chicago. Let alone society–I should add. Both areas of her expository conversation are recognizable and revealing, if not slightly dated when considering personal ads have mostly been replaced by dating websites (yes, yes the book was published in the early 90s). Nonetheless, the perspective is worth the acknowledgment, as it allows us to get to know Virginia Kelly as well (its first-person narrative). And all of that is well and good, until we jump into why she’s at the bar. In steps Virginia’s friend Beverly and a consuming loop of analepsis, or back story. It starts the second Beverly states that her lover, Kelsey, is seeing another woman. Instead of Virginia taking the cue and asking what exactly did Beverly want her to do about it, Virginia’s narrative exposition spins into past race-related scandals that have plagued the bar. Seconds later, it hops into Virginia foreshadowing Kelsey’s fate and how she isn't surprised about the trouble between her and Beverly. It's almost as if Beverly was suddenly whisked away by the thoughts in Virginia's brain. So why isn't Virginia surprised? Because a few weeks prior she and her friend Naomi were “eating little meatballs and swilling the free beer” at Beverly and Kelsey's housewarming party. There, the two first peeped the disturbance in Beverly and Kelsey’s relationship. So suddenly we're not in the bar, but at a party where we're introduced to Virginia’s other friend and co-conspirator, Naomi. The details and telling grows thick. It’s like a whole other chapter where the two woman close in on the history of their friendship, and the occupations and history of their subjects (Beverly and Kelsey). This is how Virginia became suspicious of Kelsey, with her friend Naomi leading the way as they “propose” an investigation on her as a means of protecting Beverly. You would think that Virginia’s narrative would revert back the bar, where she’s physically located with Beverly. It’s a balancing act that just didn't give because then we get pages of Virginia detailing her current relationship with a woman named Emily, who is also at the housewarming party. It’s like a space that has to be filled once Emily is introduced in the back story. Just when you think things are moving on, Emily's detailed history adds another sleeve of back story on top of back story. So before actually meeting Emily (as well as Naomi in this case) within the forwarding narrative, we already understand where she comes from and her dynamic in relation with Virginia. Which came totally out of place in my opinion. At this point, I was lost and misguided. Because of all the active and moving back story, I had long forgotten that Beverly and Virginia were actually still at the bar. My inner reader kept asking “what’s the premise of the mystery." Before I could even assert the events, I didn't understand why they were taking place within the narrative before the premise was established in full. Besides Beverly's suspicions of Kelsey’s infidelity, I needed to know exactly–and to the point–what she wanted Virginia to do. And I only got more and more misguided. So now that Virginia and Naomi have decided to investigate Beverly’s relationship with the possibly cheating Kelsey, they take it upon themselves to forward Kelsey’s mail to them. But wait! Before that’s even detailed in the narrative, the back story shoots to Virginia at work. So now she’s piling in the subject of her occupation, with active and moving scenes showcasing such. I would relate this to watching movie trailers while wondering when the movie is going to start. Finally, the first chapter ends and we move into the second chapter that’s still in the damn back story! The actual bar Virginia and Beverly are in seems long gone at this point, so much so that I forgot about it and believed that the actual story was moving forward. However, chapter two is four pages of Virginia’s exposition regarding her relationship with Emily, Chicago neighborhoods, race and prejudices, and the fact that she’s a mystery buff. Boom. On to chapter three where Virginia and Naomi are going through Kelsey’s mail. Then finally the book shifts back into the bar. We basically learn that the pile of back story that nearly thwarted the movement of the book was two months' worth of information and events used to not-so set up the mystery and characters. Even when all that is clear and things got moving I felt like the book would've been best lead by Kelsey’s murder, and then the subsequent events could unfold regarding the investigation process. Instead, the opposite seemed to occur, in the same fashion as a lucid dream. As for the subject of race, sexual orientation, stereotypes and other conversations, they were not so subtle to the mystery. Which I liked, but disliked at the same time. I liked them because they are worth discussion. I disliked them because they would sometimes overpower the objective of the mystery. Not that it's not possible to blend the two, but had this been strictly a contemporary novel, I don't think I would've been left frowning for the satisfaction of the mystery portion. Ultimately I found an unbalance in the characters, plot, and narrative. And some awkward scenes delivered at odd times. ("She got up and walked out into the street leaving me with two lunches and a bill turned face down on a saucer. I watched her until she climbed the steps to the El platform. Then I ate both lunches and ordered dessert to console myself.") Nonetheless, I think the series is worth another shot, if for the character of Virginia Kelley's uniqueness within the mystery genre.